In 2012, the G.I. Joe Collector’s Convention returned to New Orleans, LA for the second time following some last minute venue changes. This convention was originally scheduled around the theatrical release of G.I. Joe Retaliation but the eleventh hour rescheduling of the film altered the convention’s intent. 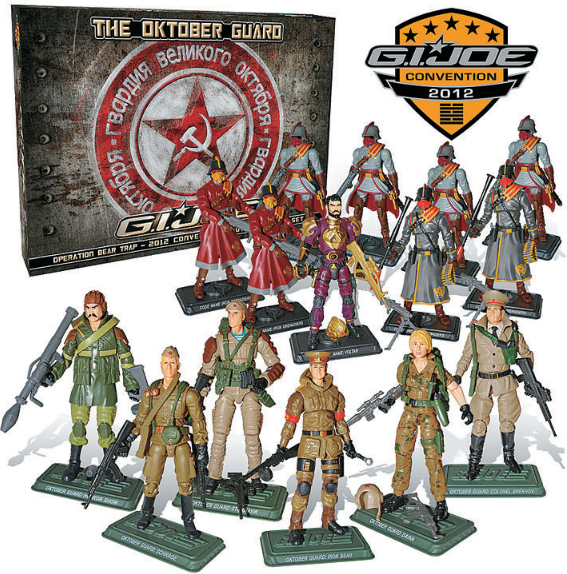 Still, this year marked the debut of the Oktober Guard in the generation 3 construction in the “Operation: Bear Trap” set which pitted the Russian equivalent of G.I. Joe against the Iron Grenadiers. JBL’s convention coverage was provided by Eric “Photonut” Naville.